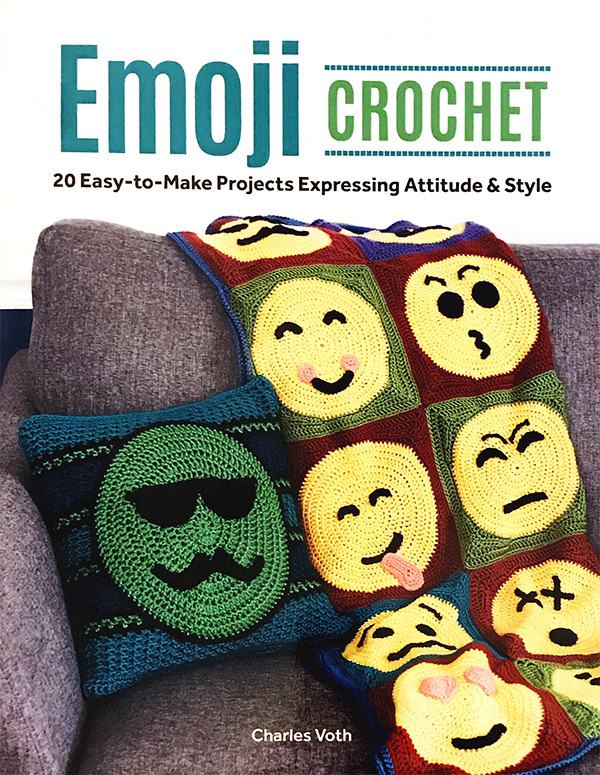 I’m Marie from Underground Crafter and I’m sharing the last seasonal roundup of crochet patterns designed by Crochet Guild of America members for 2017. I hope you've enjoyed this series. 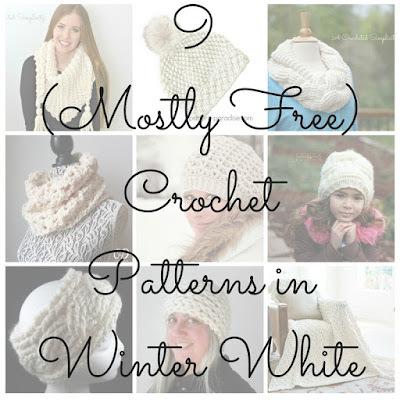 This month’s roundup features 9 (mostly free) crochet patterns in winter white. 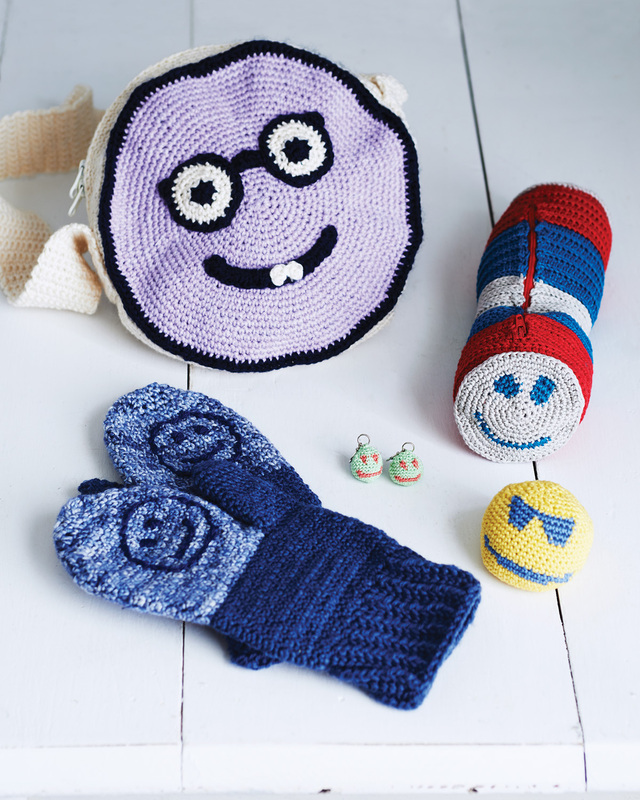 These patterns include 8 accessories for adults and children (which also make great last-minute gifts if you're still in the middle of holiday crafting) and a lovely throw. 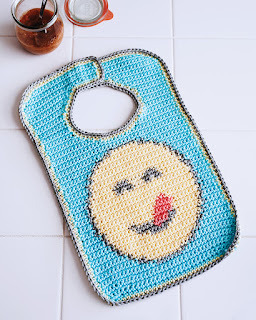 You can use white yarn or your favorite color for these designs. Photos are used with permission of the designers. Enjoy! 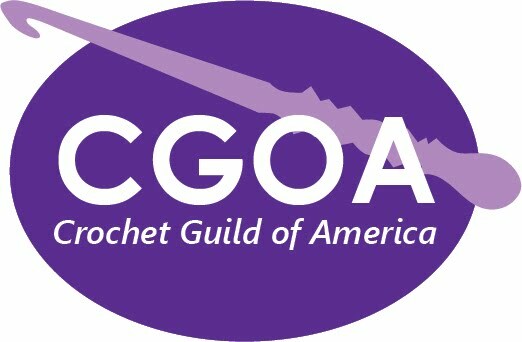 Please spread the word about the talented designers of the Crochet Guild of America by sharing this post on your favorite social network. Does your wardrobe need an update? 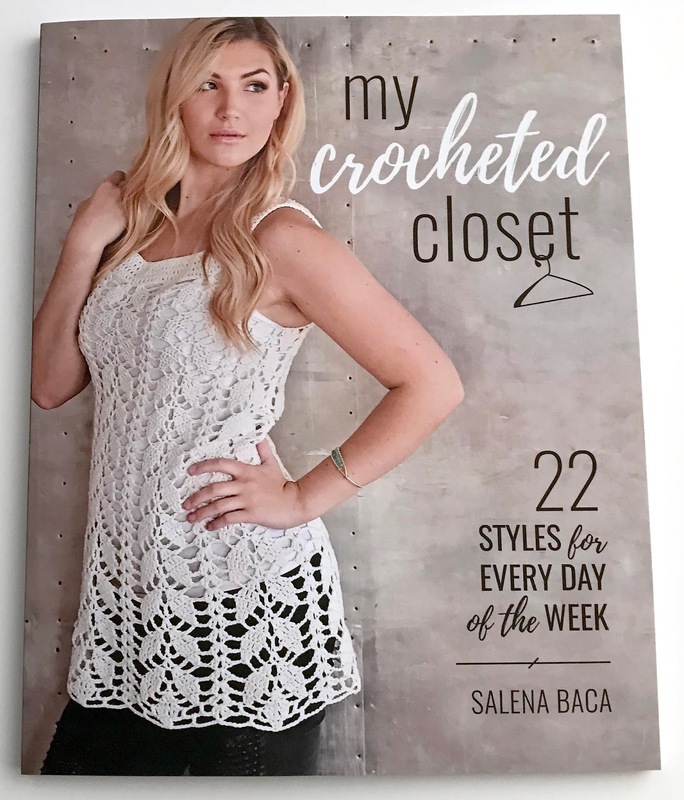 Fill your closet with the stunning crochet pieces from "My Crocheted Closet!" There are 22 modern, stylish patterns in this collection, and you're going to want to make them all (I know I do!) 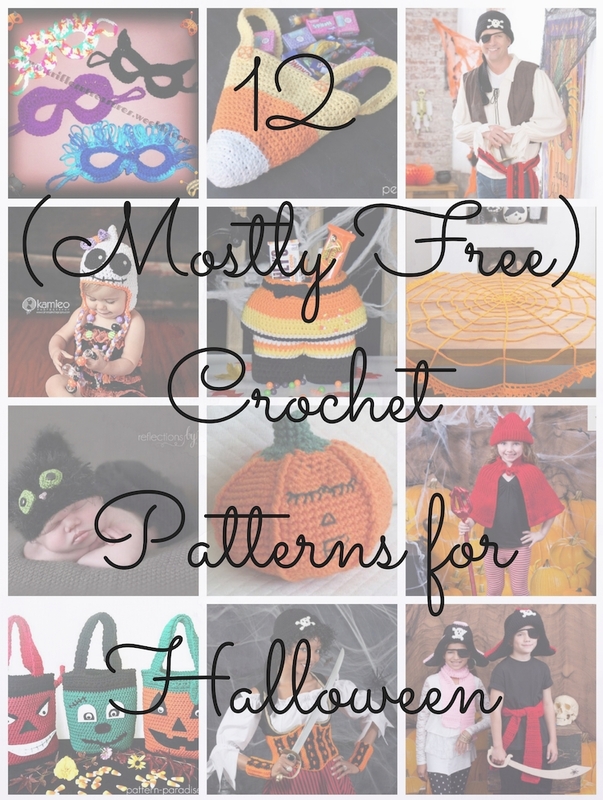 The patterns come from 13 different designers, so there's some variety in styles. 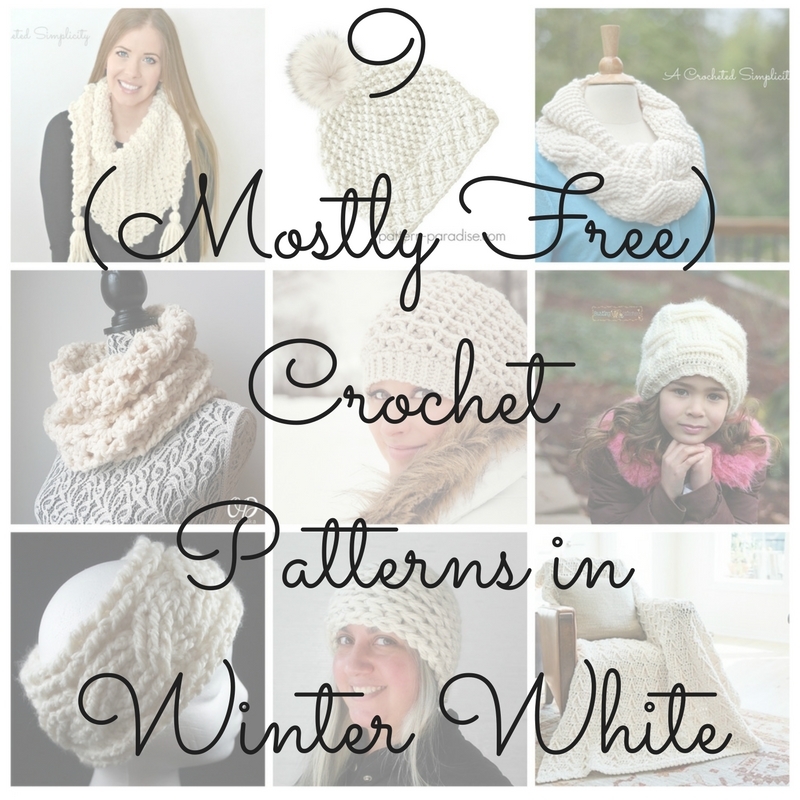 There are light and lacy, warm weather designs, and chunky cold weather wear too. There's a list of the designers in the back, and the the main project photos show the designers name. 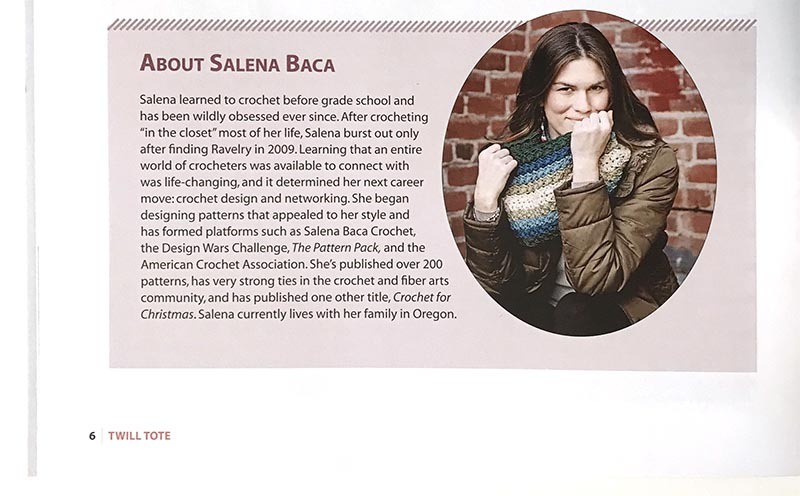 Each designer also has a lovely bio near one of their patterns, which I thought was fun! Those of you know me know that I'm not exactly small, so I really appreciate that many of the garments come in larger sizes, some of them up to 2x. The Daring Duster is one of those, and I love everything about it...the length, the color, the rollable sleeves....plus it has pockets! 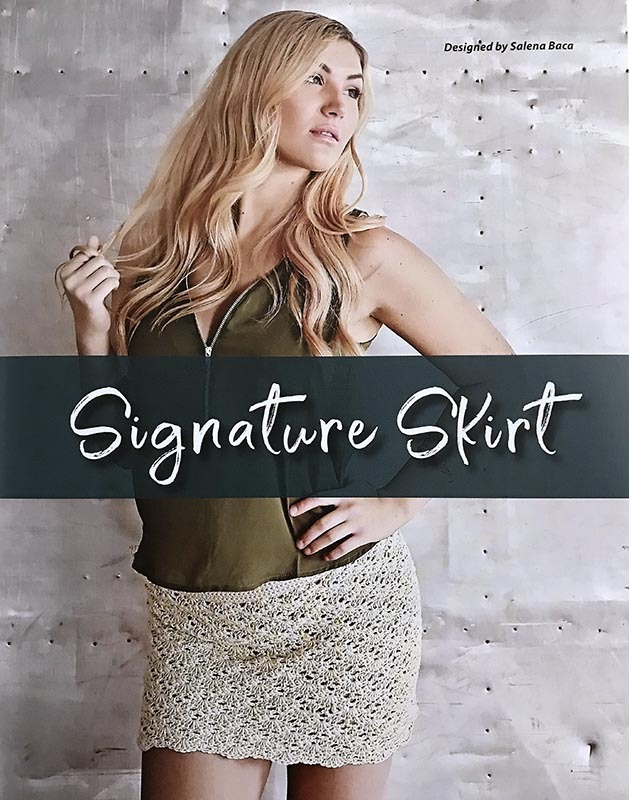 I also really like the Signature Skirt. 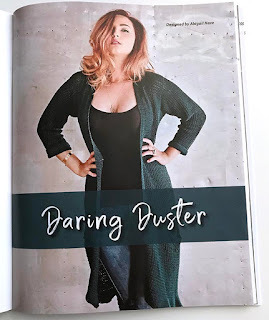 It comes in larger sizes and has a flattering fit, though I'm not nearly so daring and would have to make it much longer! 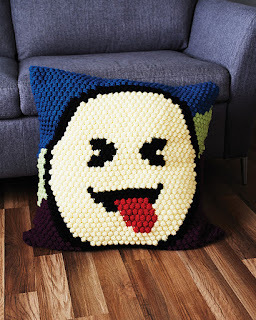 Luckily, that looks like it would be easy to do with this pattern. Besides garments, the book also has all those fun accessories that finish off the perfect outfit. 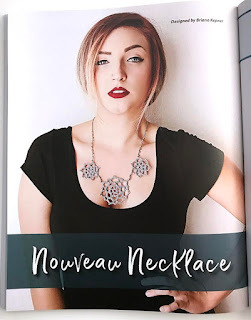 There are bags and hats, a headband, boot cuffs, mitts, and even a statement necklace! 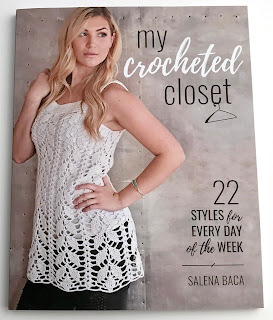 You can enter to win your own copy of My Crocheted Closet! This prize is generously provided by the publisher, Stackpole Books. To be eligible, you must be 18 years of age or older, with a valid shipping address in the US or Canada, and phone number. The winner will be contacted by email, and must reply to that email and provide the shipping address and phone number within 1 week in order to receive the prize. If the winner does not reply within 1 week, a new winner will be selected. The giveaway ends on November 30th. Hurry and enter below! Disclaimer: A free review copy of My Crocheted Closet was provided by Stackpole Books. Although I accept free products for review, I do not accept additional compensation, nor do I guarantee a positive review. My reviews are based entirely on my honest opinions. All images of copyrighted material are used with permission. This month’s roundup features 9 (mostly free) crochet patterns for unisex hats. These projects make great accessories as the weather cools down. 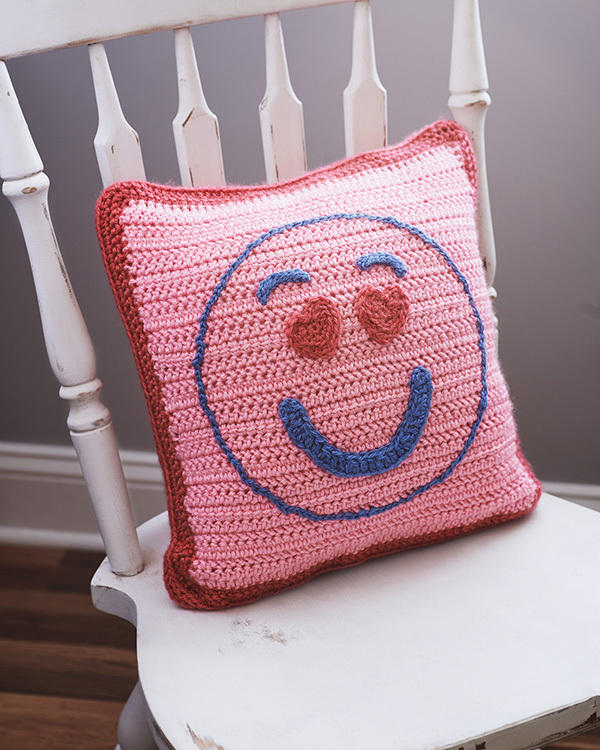 These are also great for last-minute gifts for the children, men, and women on your handmade holiday list. Photos are used with permission of the designers. Enjoy! By now you've probably seen lots of blankets made in the corner-to-corner, diagonal box stitch. But this versatile stitch is not just for blankets! 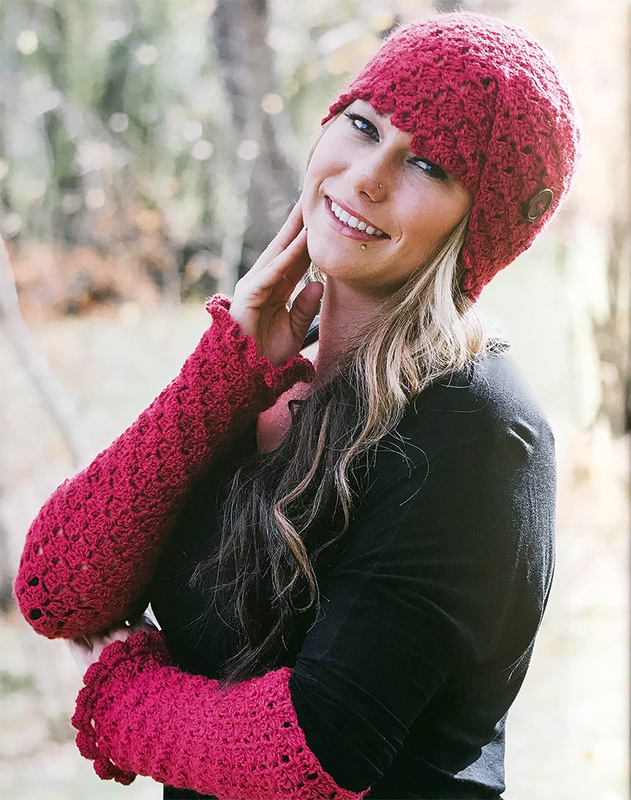 In Box Stitch Crochet, you will learn how to use the diagonal box stitch to make a variety of wearables and accessories. The book starts out with the basic diagonal box stitch techniques, increasing and decreasing to make squares and rectangles. Then there's a unique and clever bevelled edge technique I've never seen before! From there, the book explains how to apply those techniques to make all sorts of other shapes. There are 20 beautiful patterns using these techniques. 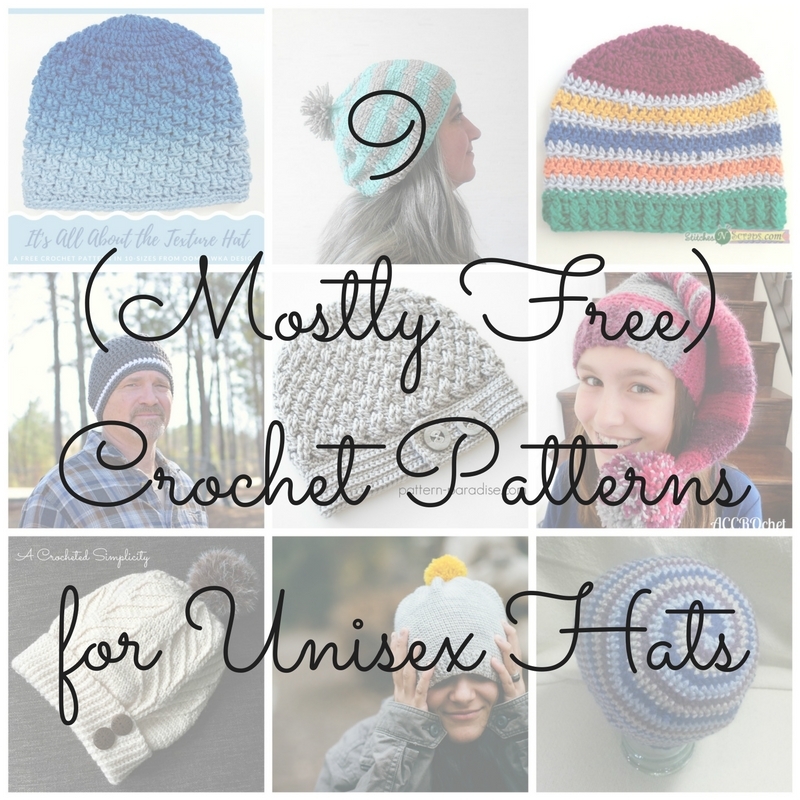 You can make wraps, scarves, fingerless mitts, a hat, and even a dress! My absolute favorite is the Under the Sea Motif Shawl. 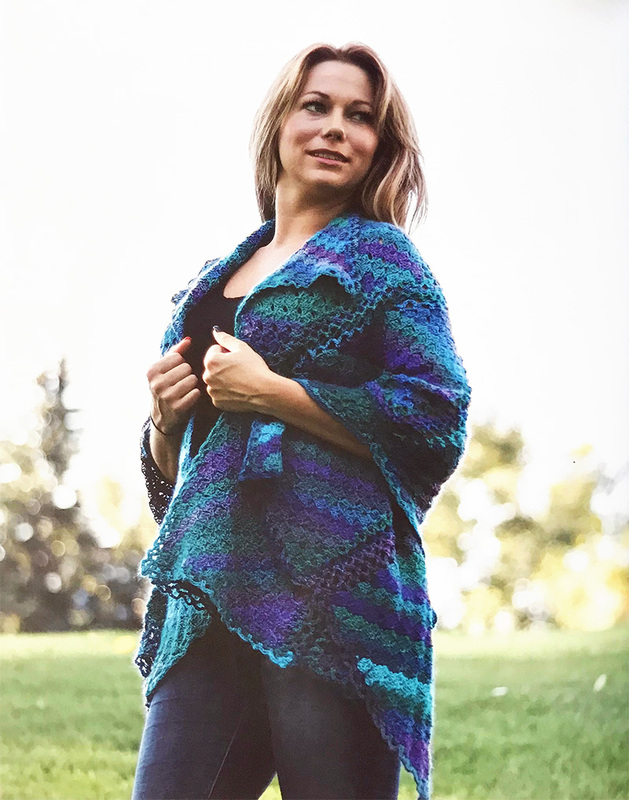 Box stitch motifs are combined to create this uniquely shaped shawl, with lacy sections that help it to drape beautifully. Another one I really like is the Raspberry hat. It has an interesting construction, and uses that bevelled edge technique to make an almost scalloped-like edge. There are matching fingerless gloves as well! You can enter to win your own copy of Box Stitch Crochet! This prize is generously provided by the publisher, Stackpole Books. To be eligible, you must be 18 years of age or older, with a valid shipping address in the US or Canada, and phone number. The winner will be contacted by email, and must reply to that email and provide the shipping address and phone number within 1 week in order to receive the prize. If the winner does not reply within 1 week, a new winner will be selected. The giveaway ends on October 30th. Hurry and enter below! 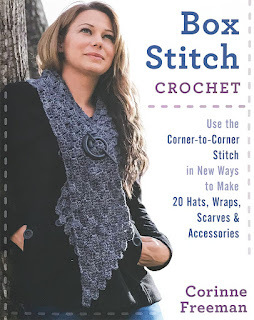 Disclaimer: A free review copy of Box Stitch Crochet was provided by Stackpole Books. Although I accept free products for review, I do not accept additional compensation, nor do I guarantee a positive review. My reviews are based entirely on my honest opinions. All images of copyrighted material are used with permission. 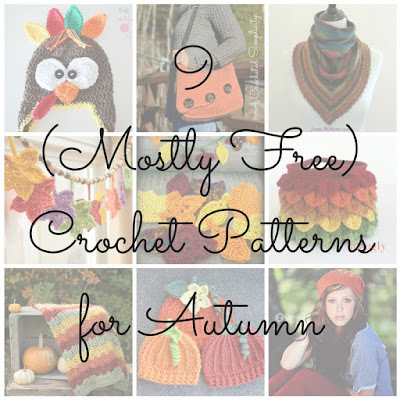 This month’s roundup features 9 (mostly free) crochet patterns just perfect for the transition to autumn, including accessories for children and adults and home decor. Photos are used with permission. Enjoy! 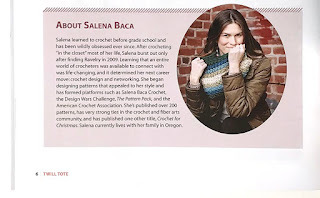 Spread the word about the talented designers in the Crochet Guild of America by sharing this roundup on your favorite social network! 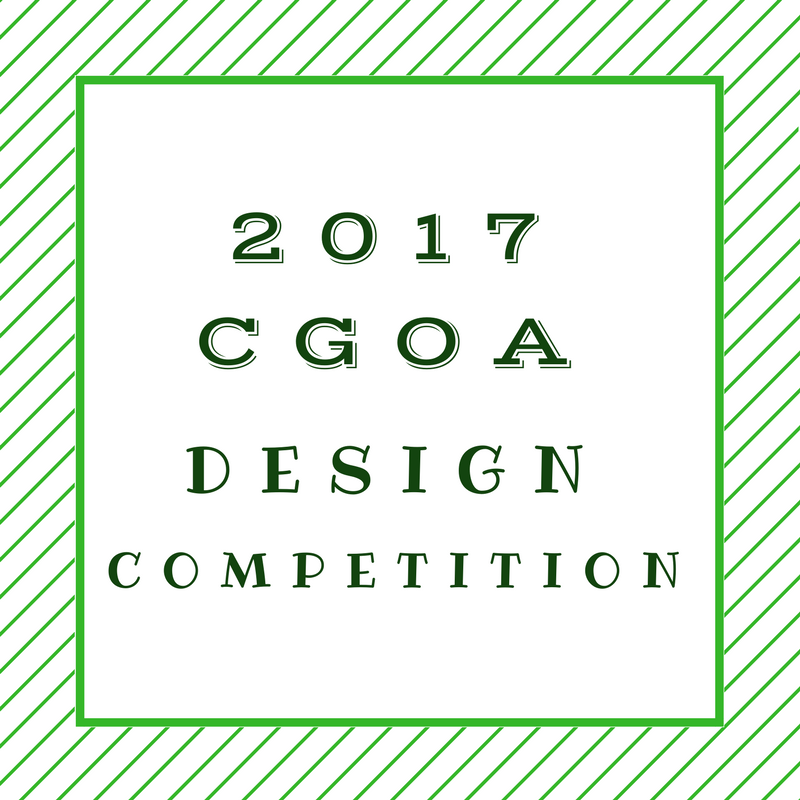 The 2017 CGOA has come to an end. 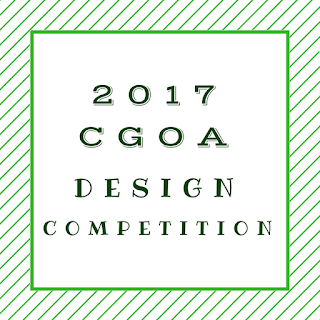 The design competition had some amazing entries that were showcased throughout the weekend. Check out the amazing entries below. The first slide show has all the photos as well as who designed each project. The second video is a slide show of the winning entries. Below is the slideshow of winners! Start thinking now about what you will enter for next year! You made it! 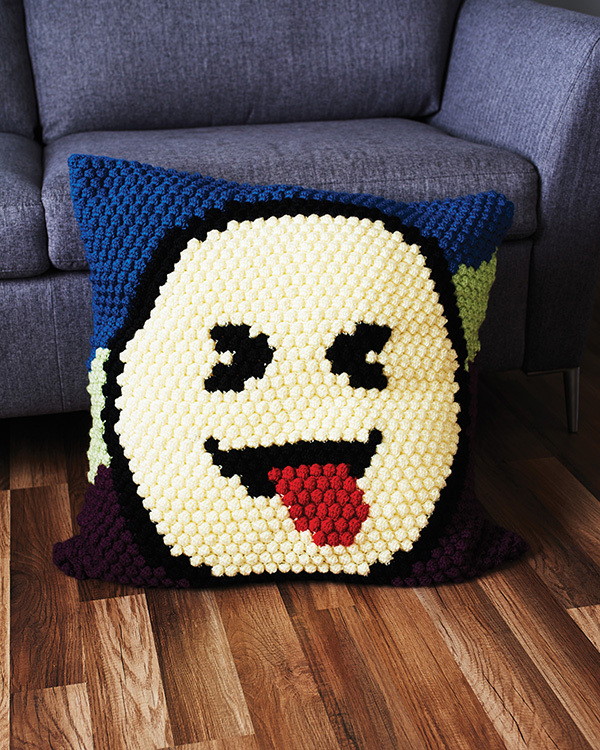 The final touches have been added to the pattern! If you're just joining us you can get all the info about the CAL by beginning HERE. This is the final week. You'll sew the pieces together, work the peplum, and finish up the armholes and neckline. Reminder: Once you've completed the shell post photos in our FB group for a chance to win a prize! 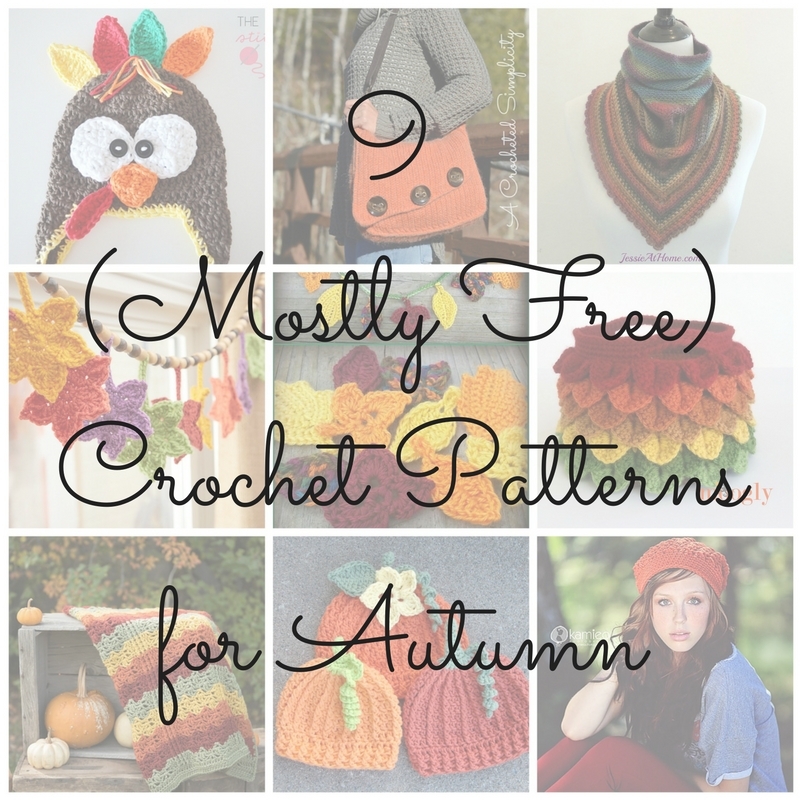 The pattern is free so it's not too late to join us! 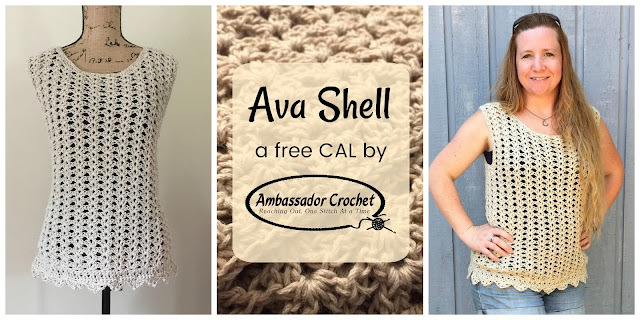 Head over to the Ava Shell pattern for the CAL instructions. 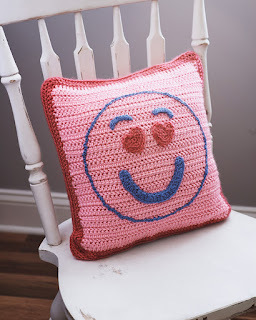 Stop by our Ravelry group or Facebook group to chat or ask questions. We can’t wait to see your progress! 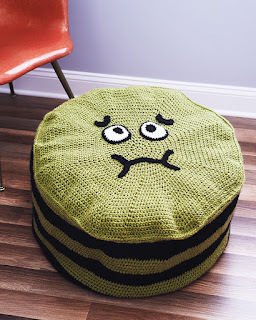 Ravelry members can also add the pattern to your Ravelry favorites.